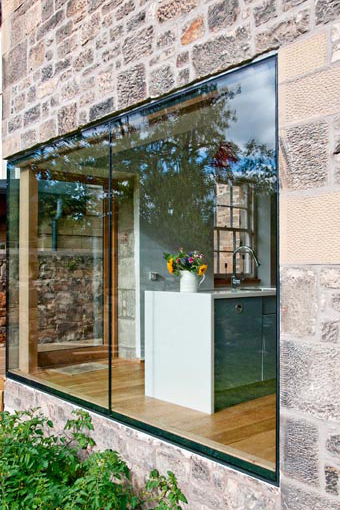 This intervention was undertaken in a Grade B Listed building in the Portobello Conservation Area of Edinburgh. 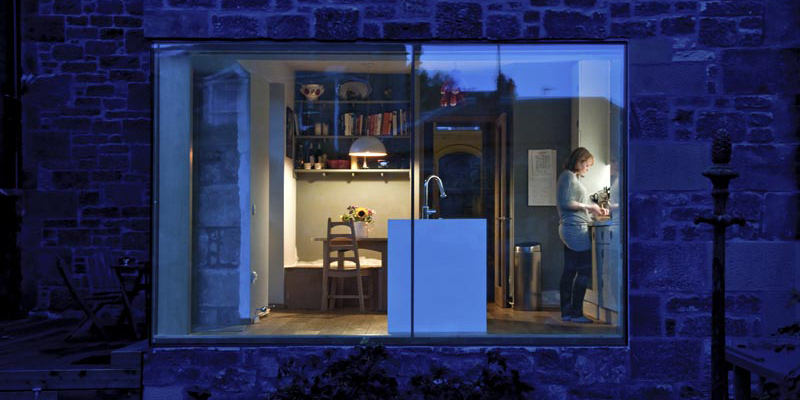 A glass corner opened the house’s kitchen—formerly a dark, underused room—to the garden and a small deck, bringing sunlight into the house from the south. 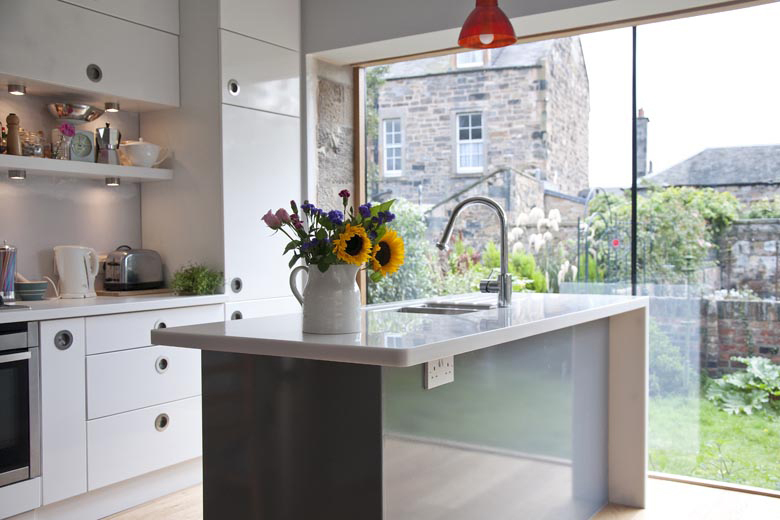 Removing the heavy masonry allowed for a substantial increase in floor space and made the kitchen a new focal point for the house. 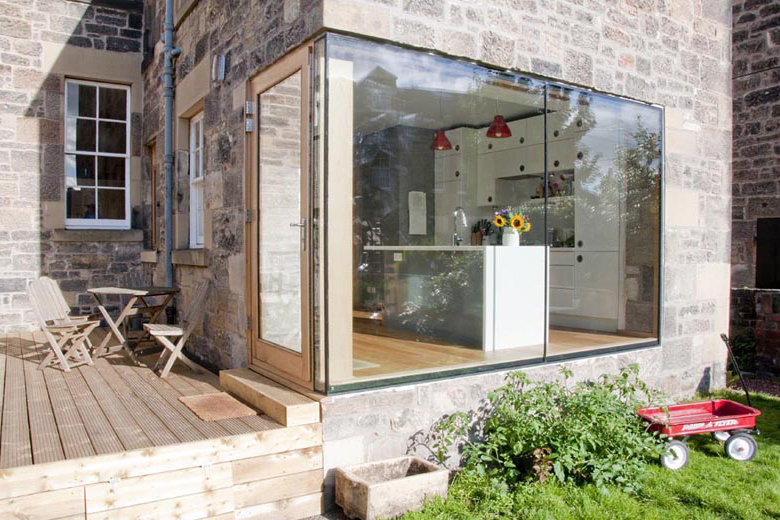 Entuitive (previously TALL Engineering) engineered a set of minimal supports, including an 80 mm steel post and hidden steel beam, achieving the effect of a fully glazed corner with no visible structural support.